Trixey Whitley, daughter of Chris. That story is well-known by now. She totally deserves her own entry in the rock annuals in 2019. She featured on this blog once before with her debut album. Since then I had lost sight of her until Lacuna. 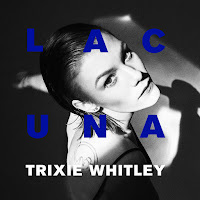 At this time, even after several listening sessions, I am wondering what to think of Lacuna. The album in a way is so far removed from what I like to listen to, yet it attracts me at times as well. No, there are no prior inhibitions, as I had no preconceptions for this album. A faint memory of 'Four Corners', that is all. Lacuna contains a strange mix within it. It plays with R&B singers or whatever genre these ladies sing in and holds a very alternative edge in the approach to the music. A lot of elements contained on this album have nothing to do with scoring huge top 40 pop hits. For that the punky edge that hovers within some of the songs is far too sharp for sensitive ears. E.g., listen to the rock guitar entering 'Long Time Coming' near the end. For the unsuspecting listener it may come as a surprise or even a shock, those listening closer will have noticed there are little rough edges all through the song. The beat and synths are not the whole story. Far from it. It is this interplay of very different influences that makes Lacuna attractive for me to listen to. There's no denying that it takes an effort to find this attraction. It certainly did not reveal itself in the first round. What helps is playing the album louder. Most of the riches contained within the R&B part of the music and the singing come forward this way. So many sounds and rhythms can be found beyond that first impression. Super dry rhythmic sounds, repetitive guitar playing, dark synths, the way she sings. In each song there are these pleasant and/or rough surprises. In front of all that is the voice of Trixey Whitley, a strong feature of her music. She could easily have made that slick R&B record; had she wanted to. Luckily for the world that is just where the story starts. Making music for Ms. Whitley is about discovery, finding boundaries only to break them as soon as they are discovered in search of new ones. It is also an extremely serious album. Most of the songs are the equivalent of a serious speech. There is not a lot of joy to be found here. It's fine and just as it needs to be. The result is a very varied album with songs that at times sound familiar. Exactly then the listener needs to start paying attention. A world of twists and turns is about to reveal itself right at those moments, where Trixey Whitley proves to be able to meander through different sorts of music, ties them together and presents them as something completely new. 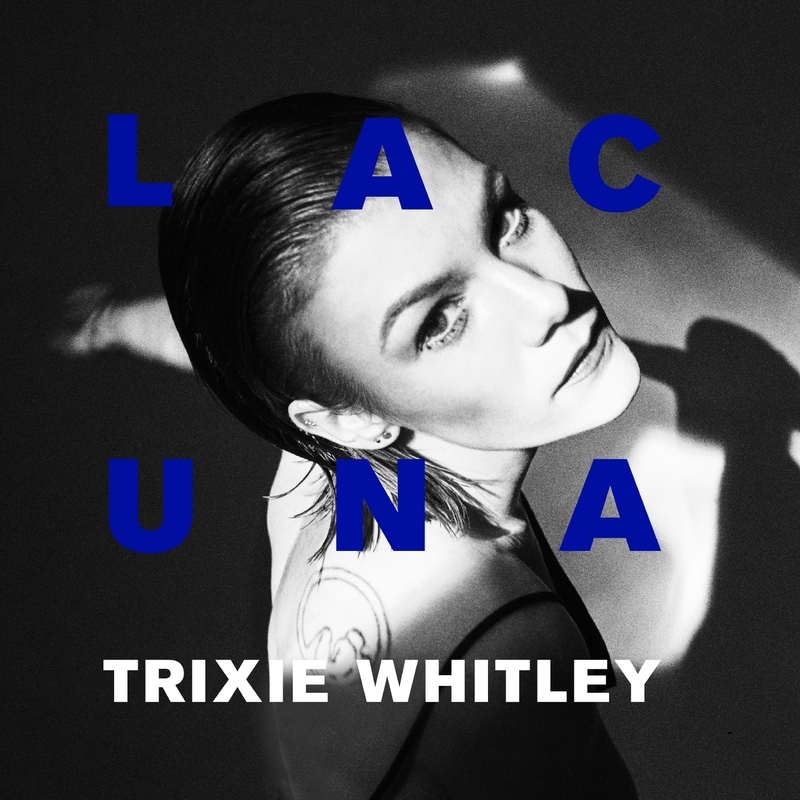 Lacuna is a surprisingly rich album for the R&B album it is not. It seems I have left behind my qualms, totally.